For someone who's pretty safe with her nail choices, I seem to have amassed an astonishingly large collection of nail polishes in the last few years. While it's easy to be overwhelmed whenever I open my storage box, I found that picking out a curated selection of colours every few months (or season) has made paint day much more functional. 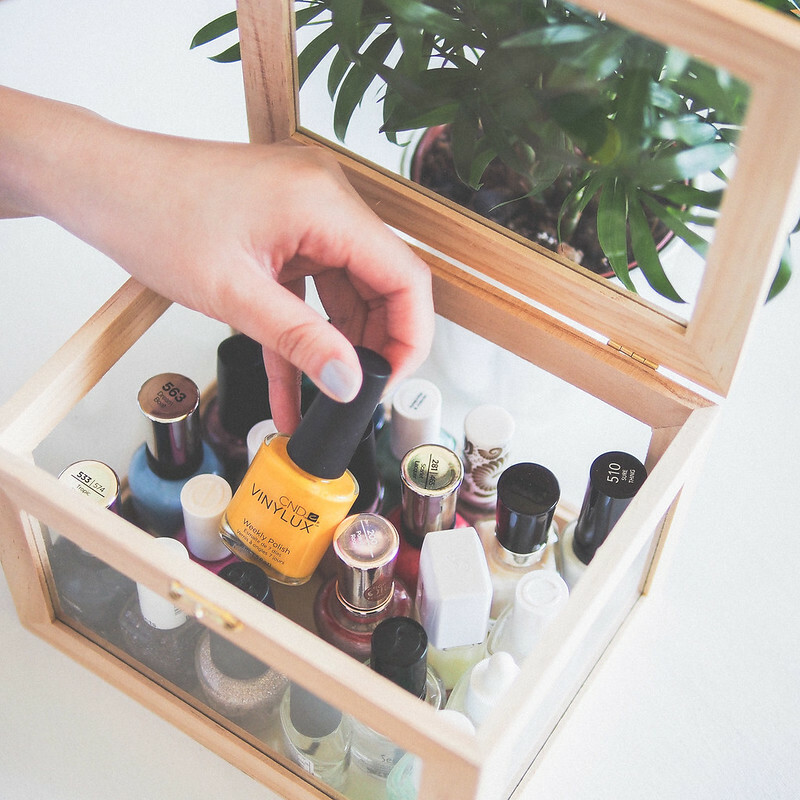 This wooden box with glass panels was an excellent Dollarama find and is the perfect size to house, organize and display each seasons pretty bottles. I've left it as is but you can certainly paint it to match your room theme. It keeps the acetone fumes contained, looks neatly decorative and makes sure I cycle through all my colours. 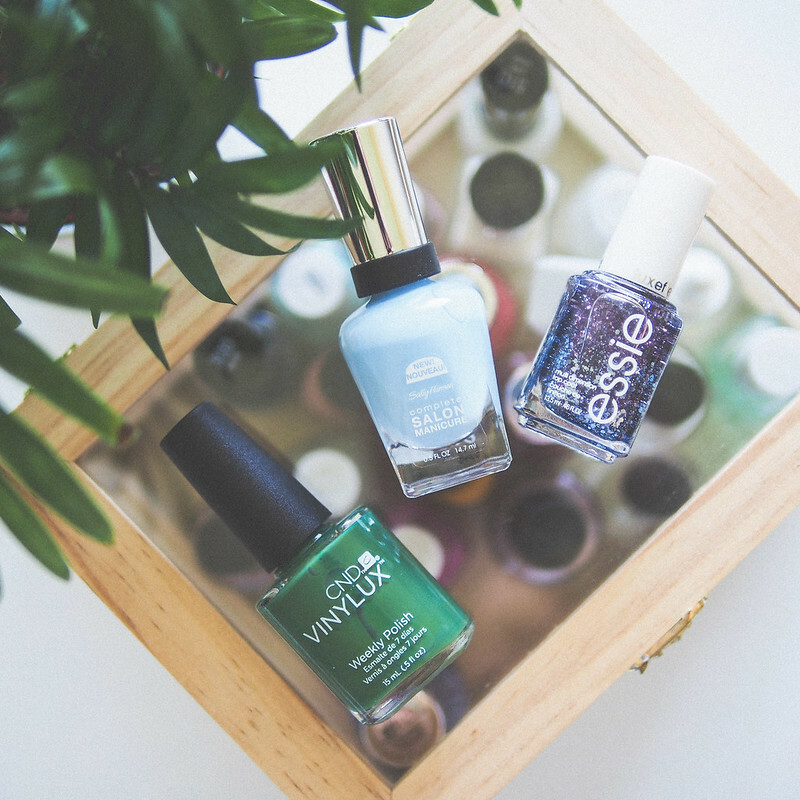 Faves: L-R | CND* "Palm Deco" | Sally Hansen* "Dream Boat" | Essie "Stroke of Brilliance"